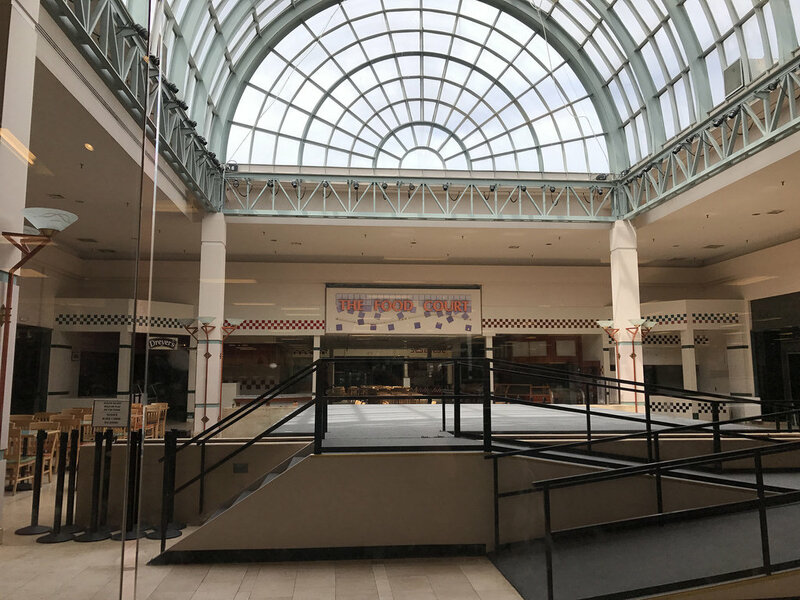 Northwest Mall closed the interior of the mall March 31st, 2017. It was a sad and unexpected occasion. I made a final visit to the mall to try to talk to some of the shop owners. I found that everyone was unaware of the closure, until Mid-March, and for the most part lacked concrete plans of where to go or what to do next. 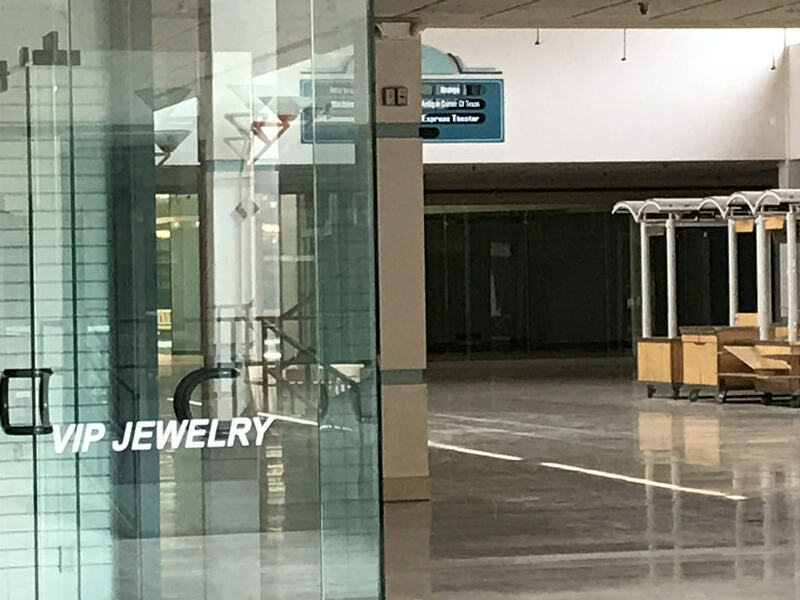 Once the mall closed, the interior sat untouched for a few months. During May the exterior doors were walled off and covered. With the exception of, The entrance near The Post Oak Club, which had a wall built further back, and a door installed to accommodate entrance into the interior of the mall. The entrance near Chapa Club, the former movie theater, had a similar recessed wall built to accommodate the building’s interior emergency exit. All stores with exterior access have remained open. 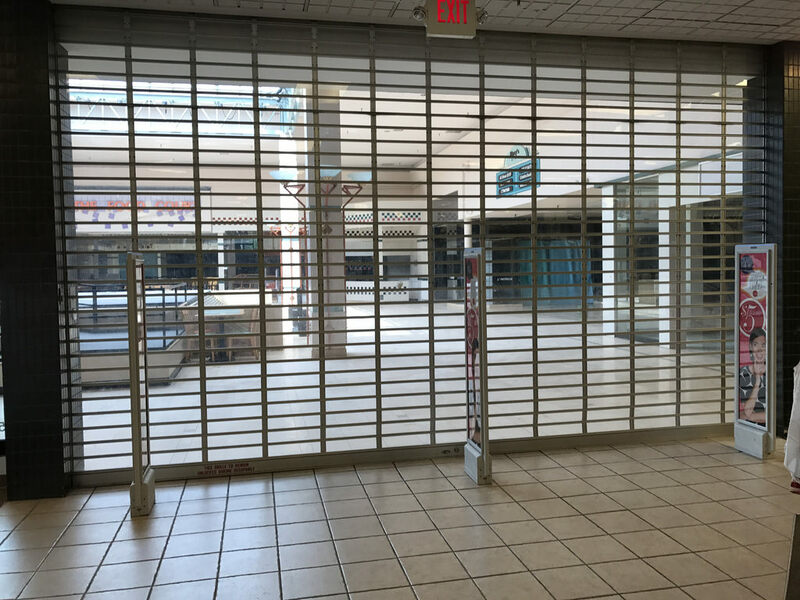 The Antique Center of Texas, former JC Penny, closed their gate to the mall, and it has been walled off. Including a plastic covering to prevent dust getting into the store. Palais Royal, has not covered any of their windows or entrances. Zooming in on the doors, the original “Entrance A”. A shot of the Macy’s Wing through the Palais Royal gate. 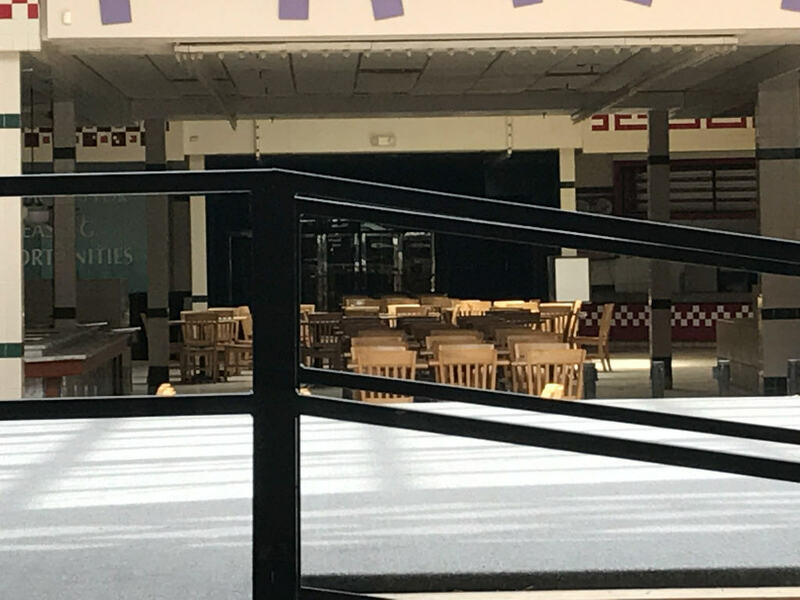 A view of the JC Penny’s Wing. A Final Panoramic View of the mall. As you can see little to nothing is going on. There are some construction dumpsters out front, which are loaded up. However only time will tell if Northwest Mall’s revitalization will actually be put into place. If interested you can find the rest of the album and higher resolution photos here. Wonder if the mall will ever reopen.. my guess is no.